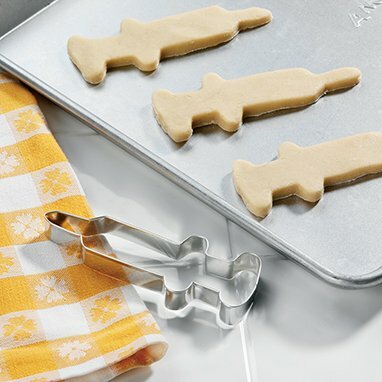 Syringe-shaped cookie cutter is certain to give their next batch of cookies a big shot of fun! Handmade from tinplate sheet steel. 1 1/4"W x 5"H.
Size : 1 1/4"W x 5"H.
If you have any questions about this product by HCL, contact us by completing and submitting the form below. If you are looking for a specif part number, please include it with your message.